Experience the European spirit of past, present, and future through Globe Aware’s Romania program. 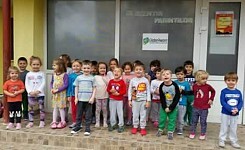 Volunteers will work in a village on the outskirts of the beautiful city of Brasov, targeting children and at-risk families to fight against poverty and injustice. Work projects include building a Social and Educational Center (a future home for ten homeless families), improving the living conditions of the often marginalized Roma community, and implementing environmentally friendly attitudes towards the local community and its surroundings. 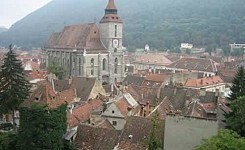 In their free time, volunteers will have the opportunity to explore Brasov’s historic town center and surrounding areas, including the Townhall Square, the Romanian Art Museum, and Bran Castle (more commonly known as Dracula’s Castle), Visitors can also take a cable car ride to view the city of Brasov from atop a small plateau. Depending on number of volunteers, accommodations are provided in either a quaint Bed and Breakfast in a nearby town or in a charming, 2-storey villa near the old center of Brasov. Cable TV, internet connection, and washing machine facilities are available at both locations. Come visit this quaint country with its picturesque landscapes and help discover and redeem the treasures of Romania’s rich heritage. Click here for more information on our Romania Program.